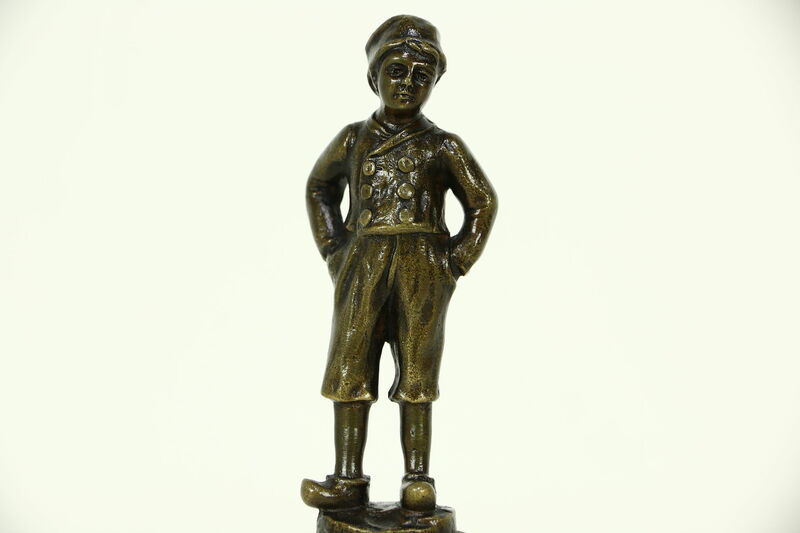 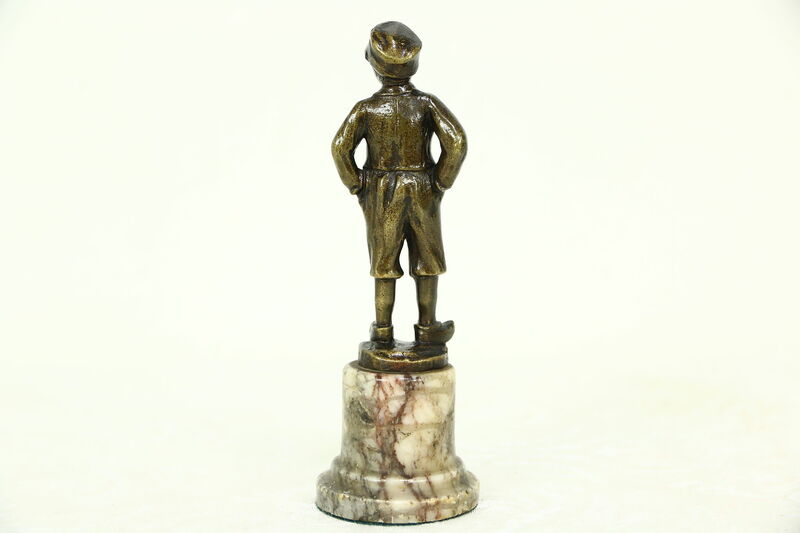 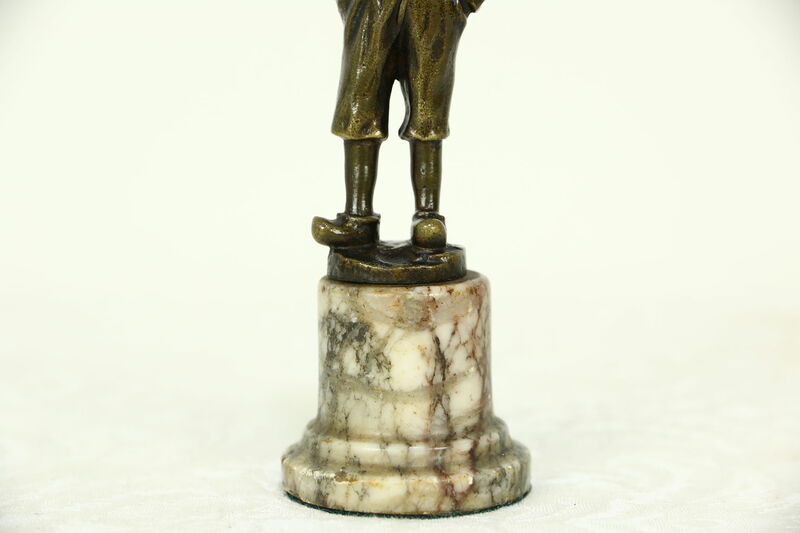 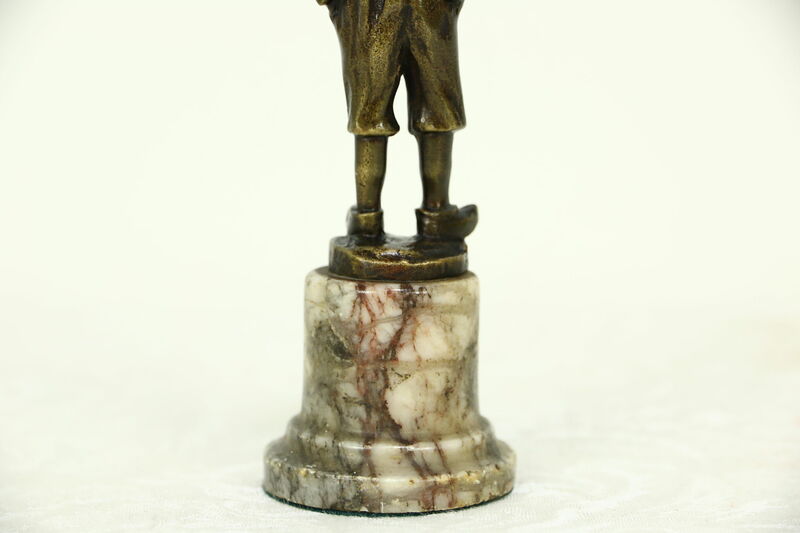 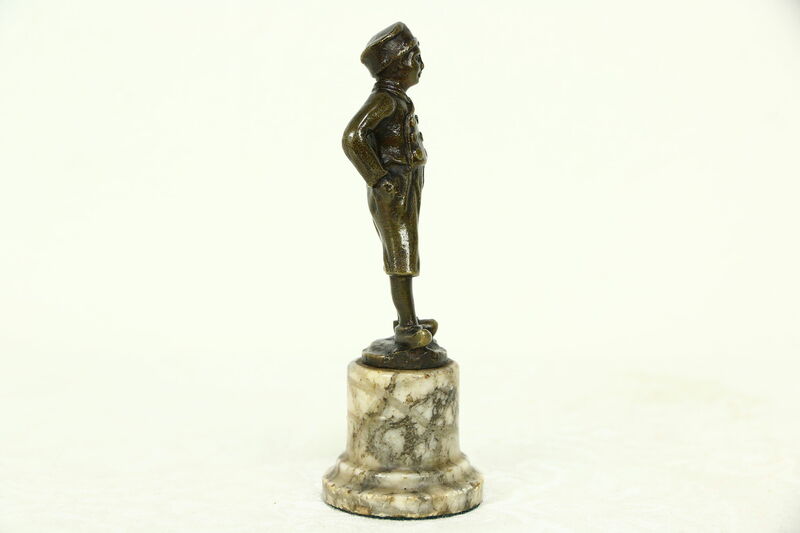 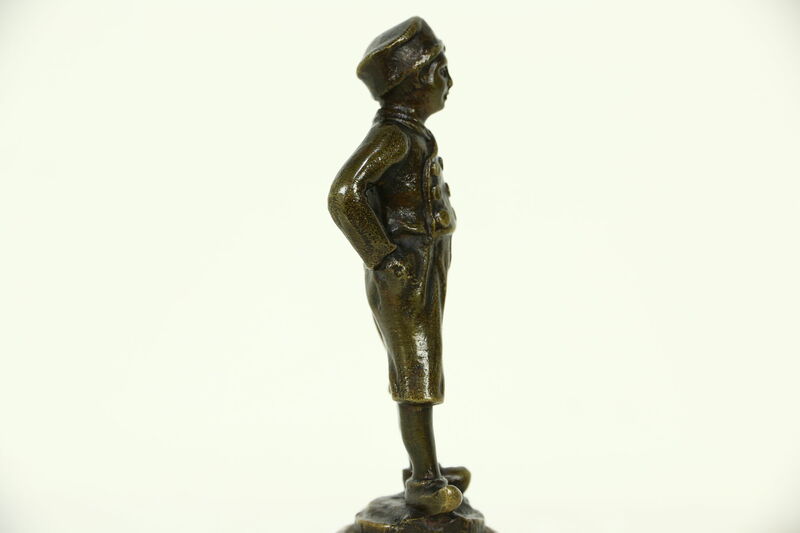 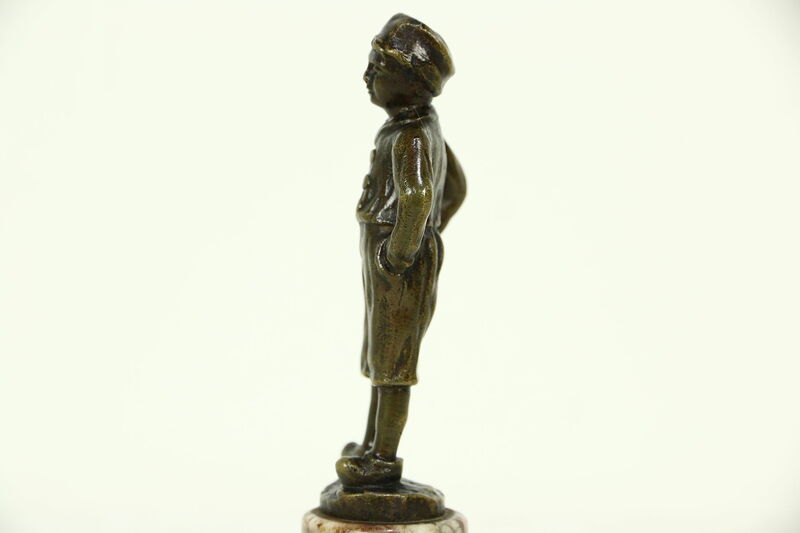 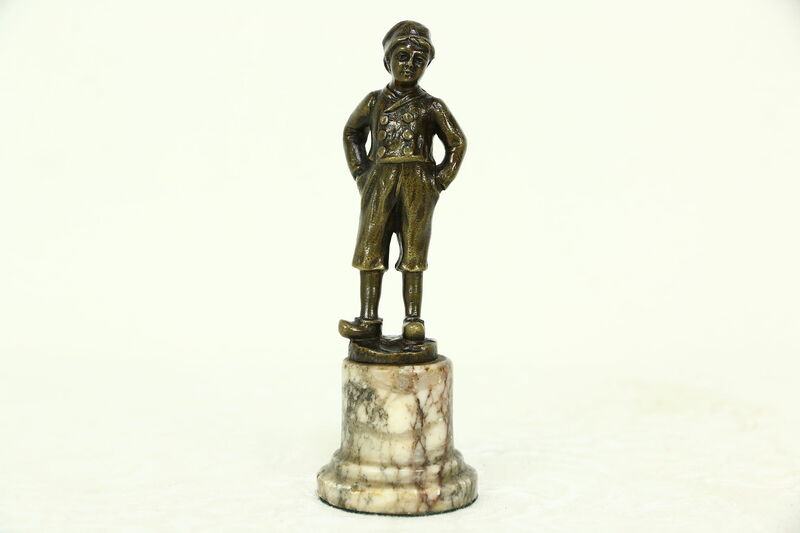 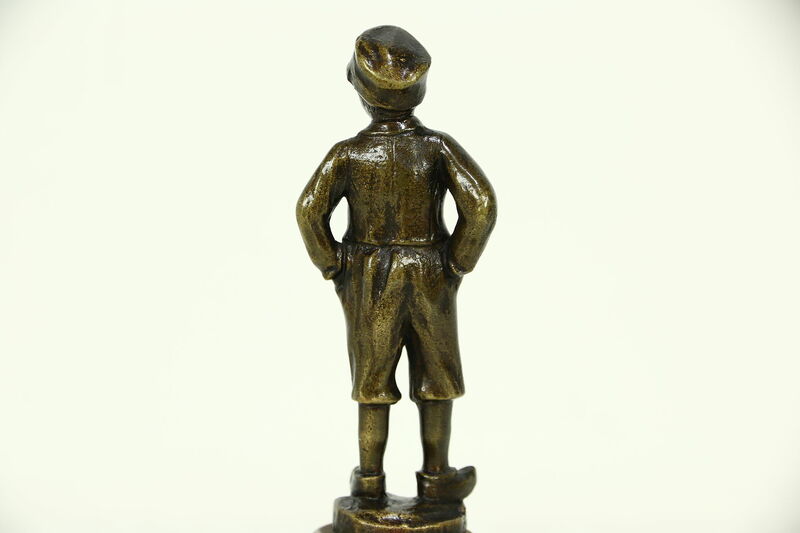 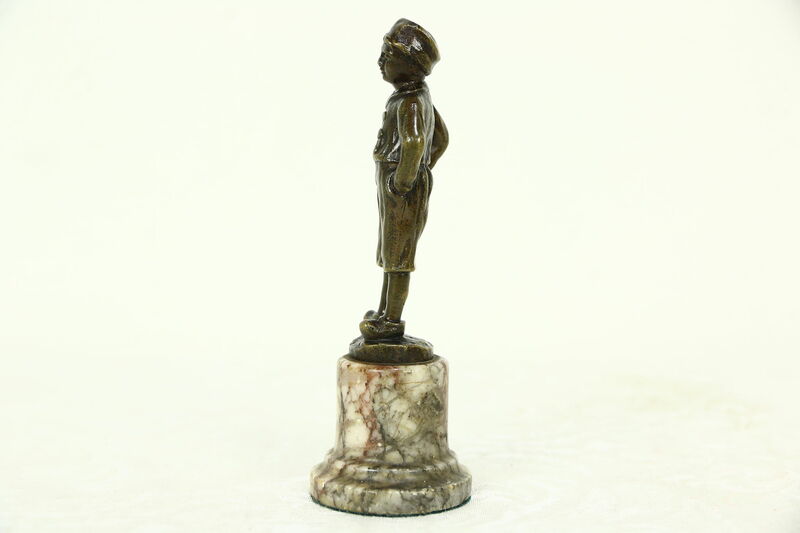 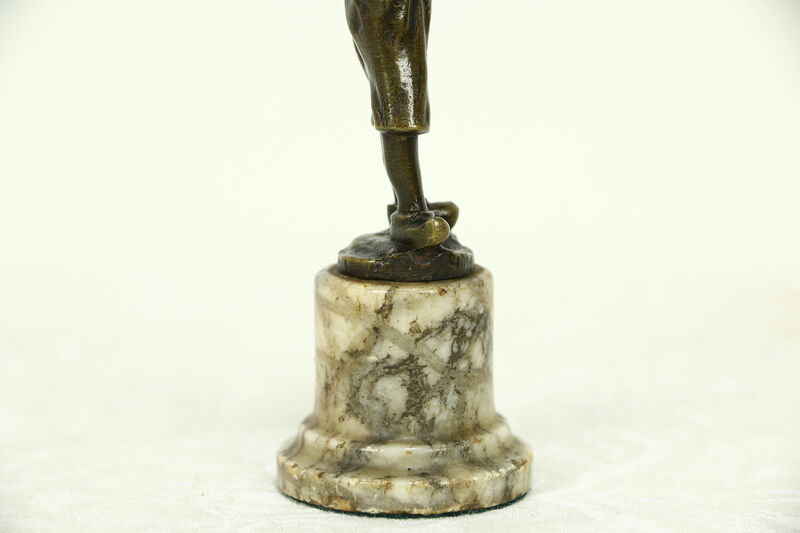 A small bronze sculpture of a boy wearing wooden shoes and traditional jacket and cap has a marble base. 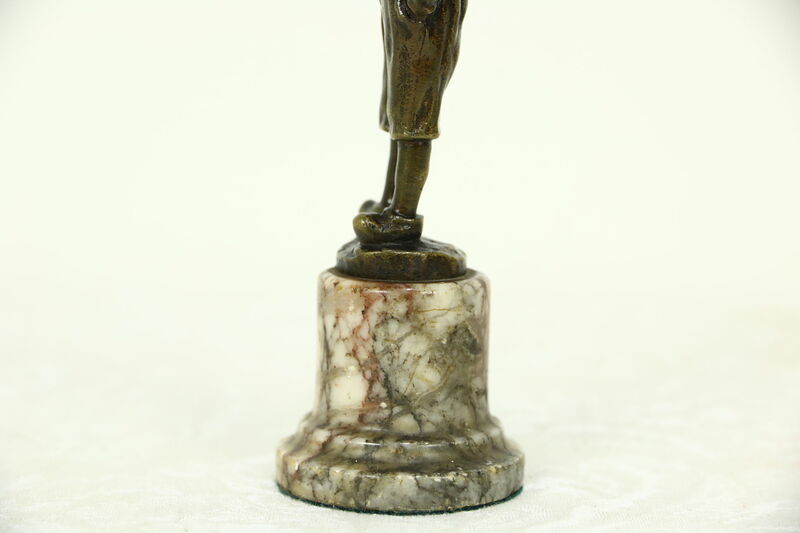 This antique work of art is richly detailed. 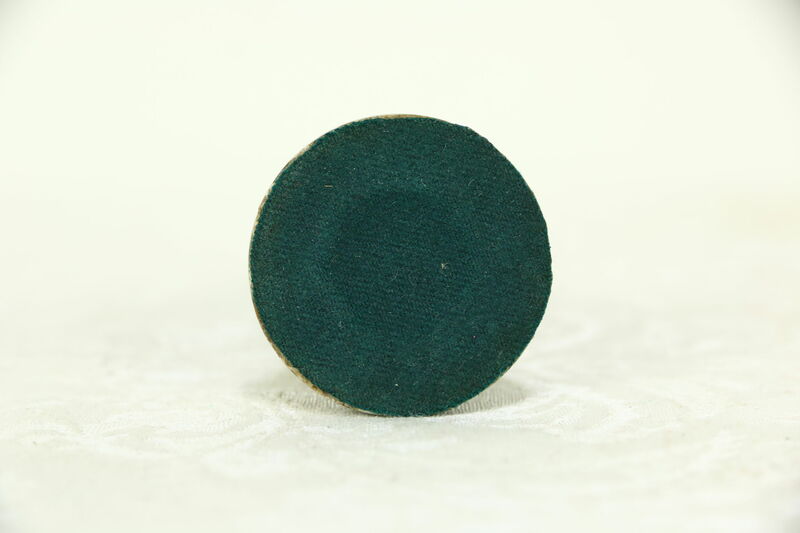 Size is 1 1/2" across and just over 5" tall.